I have a pair of the Bealls and I LOVE them! So comfortable. I got mine last year and will be getting another pair (or two) this spring. Do you live in flip flops when the weather gets warm? What are your favorite brands? 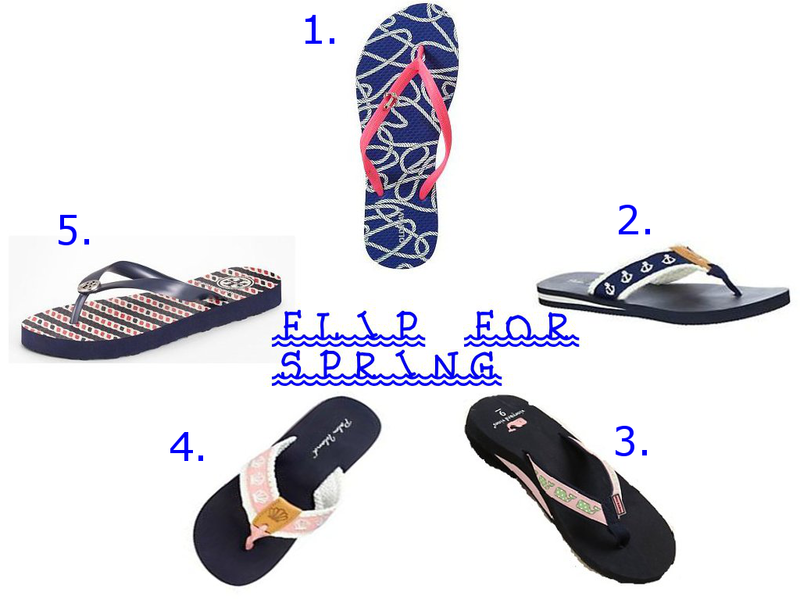 I am such a flip flop junkie. I live for spring and summer. It pains me to put them away in the fall. I need to move to California. I will tell you that my fav. flip flops are TB. I am amazed that I can wear them to the beach & get the ocean water on them & the logo stays the same color, doesn't chip or flake off. Hello, I'm a Danish blogger! and you have a lot of good pictures! Those Tory Burch ones are super cute! I want to try out Rainbows this year, though! I went to Bealls today to look for those flip flops. No luck!! They look so comfy! The Bealls ones remind me a lot of some LL Bean ones I have and love, but I haven't liked their designs as much lately. I may have to order some! I had some J.Crew classic plain rubber flip flops that set the standard in comfort but they gave up the ghost late last fall, so I'm in the market for some new ones. I was a high Rainbow fan in college and I may swing back in that direction.